Founded in 1995, we are an experienced team of performance management training experts. All our consultants and facilitators are performance appraisal review specialists. We deliver appraisal training for managers and appraisal briefings for staff. We also provide professional advice on performance review processes and systems. Our specialist team focuses solely on performance management training. We provide innovative performance appraisal training solutions which match the culture and needs of your business. We also assist with the development of new appraisal processes and the enhancement of existing ones. Our client base is diverse. We deliver appraisal review training and advice for large and small companies in a wide range of industries, both public and private sector. We believe the key to a successful in-house training programme is flexibility. 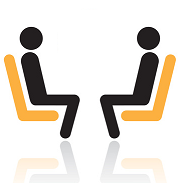 One client may be looking for a short sharp session on objective setting while another may require a comprehensive one day appraisal training course covering all the professional performance appraisal review skills required of an effective manager. 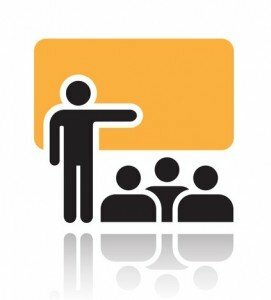 Each tailored appraisal course we deliver is unique to the client. 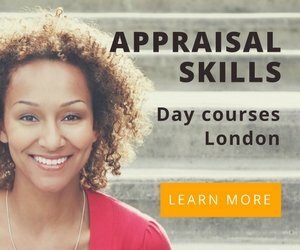 We also run open appraisal training courses monthly in central London. We take a maximum of six appraisers on each course. Running courses for small groups means that as well as covering the core skills required to be an effective appraiser, we can also address any specific appraisal challenges delegates may be facing. We regularly provide professional advice to clients who are introducing a new performance management process or who are upgrading and improving their existing process. We advise on workflows, template appraisal forms, 360 degree feedback and online appraisal systems.